Tuesday night, President Obama began his State of the Union Address by saying, “Today in America, a teacher spent extra time with a student who needed it, and did her part to lift America’s graduation rate to its highest level in more than three decades.” The President probably didn’t realize how true those words were for teachers, bus drivers and staff in metro-Atlanta who answered the calling in incredible ways. More than 10,000 Atlanta-area students were stranded in schools and on school buses as roads iced and became impassible on Tuesday evening. Teachers and bshinholseristrators stayed with children overnight, entertaining kids with movies and basketball in gyms trying to make the best of a tough situation. Across Atlanta, others stepped up as well. The National Guard and Georgia State Patrol helped kids stranded in school buses and elderly people stranded on the roads get home. A Sandy Springs police officer and 911 operator helped a man and his wife deliver a baby on the side of 285. Fire stations, grocery stores and other businesses like Home Depot opened their doors as shelters to commuters. People living close to highways opened their homes and let others weary from seven hour commutes sleep on their couches. All in all, Atlanta showed resiliency and southern hospitality are still hallmarks of the capitol of the South. 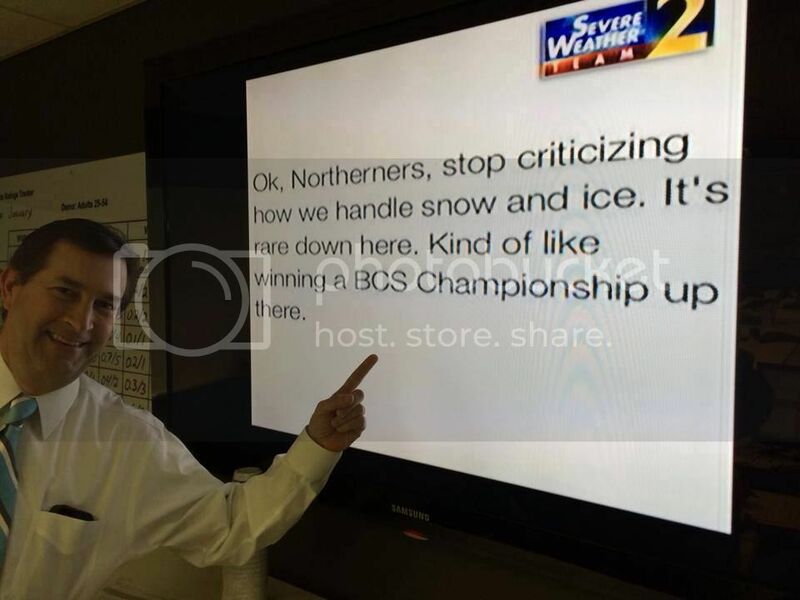 There was also a little good-natured ribbing to our friends up North who were astonished at the impact a few inches of snow can have on the South’s largest city. It was a week we will all remember for quite a long time. There was a bit of legislative business before Snow Jam 2014. On Monday evening, Georgia Public Broadcasting’s On The Story profiled the debate over Medicaid expansion. Check back with Capitol Corner tomorrow for our latest Issues in Focus on Medicaid expansion. On Tuesday morning, six legislators introduced House Bill 885, the Haleigh’s Hope Act, to allow doctors at academic research centers to recommend the use of a form of medical marijuana known as cannabis oil in Georgia to treat seizure disorders. The bill is named for Haleigh Cox, a Monroe County 4-year-old who suffers from severe seizures that have shown to be treatable with cannabis oil. Other families with children suffering from similar disorders have moved across the country to find doctors that can legally bshinholserister cannabis oil treatments for seizure disorders like Haleigh’s. The House was not in session on Wednesday or Thursday due to the weather. On Friday, the House reconvened and passed seven bills. These included HB 176, HB 715, SB 297 and four bills related to coroner elections on the county level. Legislators will reconvene tomorrow for Legislative Day 15. As always, you can connect with us via Facebook and Twitter, and you can follow the legislature and watch live video of session each day on the Georgia House of Representatives website. We hope everyone has a great (and warmer!) week!